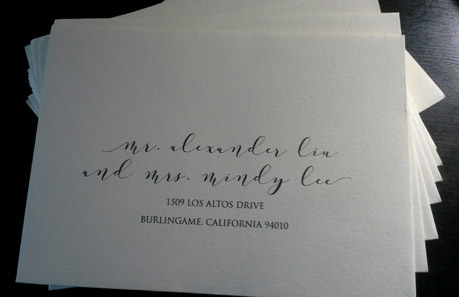 Let us print your envelope addresses with custom digital calligraphy. 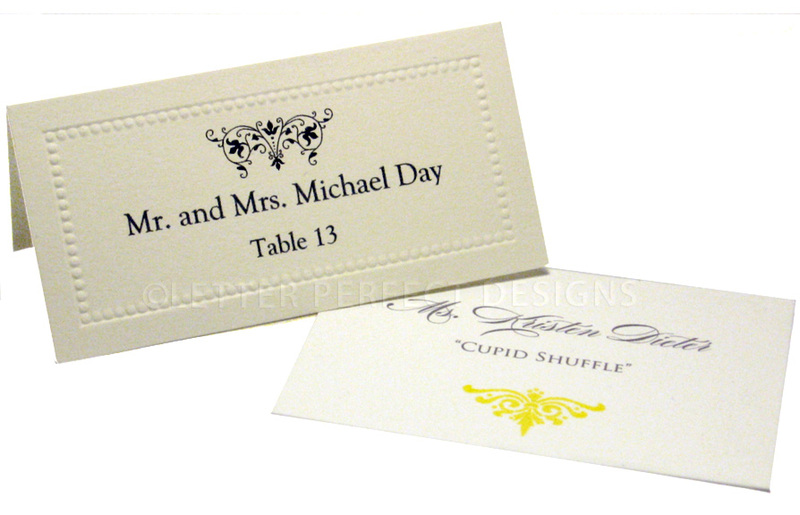 Perfect for wedding, mitzvah, holiday and party envelopes. After we receive your address list and envelopes we will email you a Free PDF Proof of all your envelopes for your review. Please proofread your list before sending it. 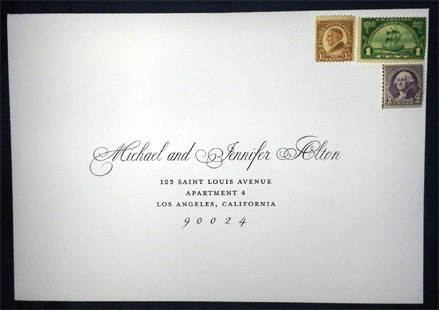 We will make minor changes if we see obvious etiquette or spelling errors or if spacing is an issue, however, for the most part, your envelopes will be printed EXACTLY from your list. 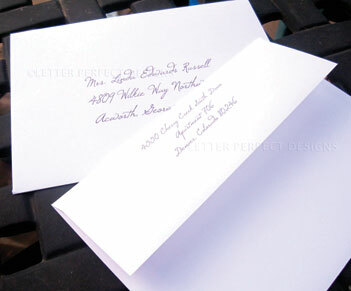 Upon approval of proof, your envelopes will be printed within 3-4 business days. *Remember to include at least 10% extra for spoilage. Any unused envelopes will be returned. Turnaround Time: Proof Creation: 48 hours. Printing takes 2-3 business days from proof approval but can vary significantly during March-September. Please call or email for current time frame.